Moving can be one of the most stressful things a person ever experiences. There’s the threat of damaging your valuables, whether they’re priceless heirlooms or sentimental treasures that you want to keep with you to preserve memories. There’s the stress of trying to adhere to a strict schedule. There’s the uncertainty associated with watching your things being packed into the back of a truck, and knowing that somehow they could inexplicable disappear between now and the moment you try to unload them. Small wonder then, that people typically regard moving as a worrisome – or evening unpleasant experience. The good news, however is that it doesn’t have to be this way. With Don’s Removals and Storage, getting your things to your new place safely and more efficiently can be totally stress-free. The trick is as simple as knowing who to call. Moving either to or from Burleigh Heads is no easy task. Whether your moving requirements are large or small, interstate or local. Don’s Removals and Storage like to think we can take away all the stress and worry while getting you relocated using experienced and professional Burleigh Heads removalists. Our Burleigh Heads moving specialists know what it takes from the packing of personal belongings to loading and unloading of trucks. We can move you either to or from Burleigh Heads. Let us be your preferred Burleigh Heads removals solution. 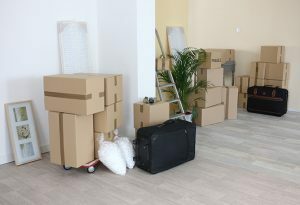 Don’s Removals and Storage solutions for both business and residents. Our services are a door to door pickup and delivery. We can dismantle and assemble your furniture along with wrapping, stacking and packing your goods on one of our many local and interstate trucks. 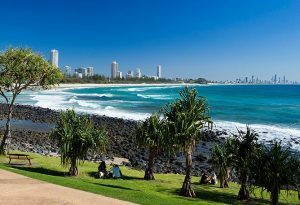 Now servicing even more suburbs around the greater region of the Gold Coast including Burleigh Heads. When considering a move either to or from Burleigh Heads. Consider the time it takes to properly organize your furniture and goods for safe transportation. 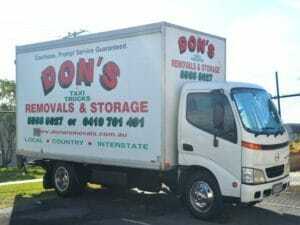 For over several years Dons Removals and Storage have been relocating businesses and residents around the Gold Coast. Professional and experienced removalists Burleigh Heads services. Our Burleigh Heads removalists are trained and experienced. Trained to handle moving furniture, experienced at loading and securing loads on trucks to safely move. Why not inquire today for your free Burleigh Heads removal quote while searching for Burleigh Heads moving companies. We can provide Burleigh Heads storage solutions making things much easier knowing you only have to deal with one company. We can provide short to long term storage for all your Burleigh Heads storage needs. We’re the removalists who care. That’s our difference. Care! And you’ll see it in several ways. We consult with you and answer your questions before providing you with a removalists quote. There are no hidden costs and all our prices are included. For your peace of mind, our removalists are trained, experienced and police-checked. We’re insured and offer a written damage guarantee. We use protective furniture covers and the right equipment to ensure a smooth journey from your old house to your new home. We hold a firm leading position in the moving industry and intend to stay at the top. Our strong quality service is recognized by our removal services strategically located all over Australia, and the Burleigh removals team are just one of theme. We believe in the customer always coming first. 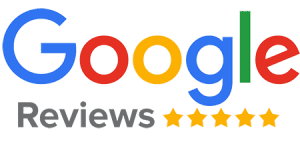 Our website is at your disposal providing you with vital information for your Burleigh removalists as well as a free online quotation form, which once completed, will be sent back to you with a cost estimate for our removal service. 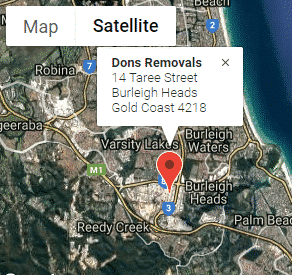 To transport your belongings from your current office or home address to your new one, get in touch with our Burleigh Heads Removals and get started on your Burleigh Removals. We also offer vehicle transportation services if necessary and backloading services for those urgent (sometimes forgotten) items. Trust the professionals and get the job done.